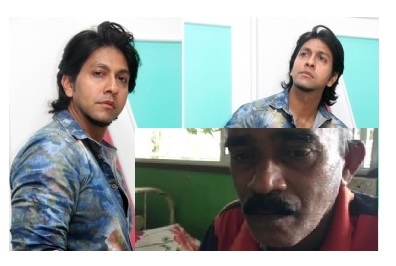 A resident of Pelawatte in Battaramulla had made a complaint with the Talangama Police against singer Chillie Thilanka alleging that the singer had assaulted him under the influence of liquor on Thursday night. In the complaint, the man had said the singer had also allegedly threatened him with a knife after assaulting for not making way for his vehicle to move ahead. However, police said the officers of the Talangama Police had visited the location soon after the incident, to find the two men in an altercation. Police officers had informed the two to report to the police but Chillie had not reported so far. The man had complained and admitted himself to the hospital to receive treatment for an injury to his tongue due to the assault. It was reported that the singer had not turned up to the Talangama Police by Friday night.